College campuses are constantly changing, from physical changes — like new buildings — to more frequent changes, like special operating hours or events. Johns Hopkins University (JHU) needed a way to more readily disseminate information to students, staff, alumni, and campus visitors. 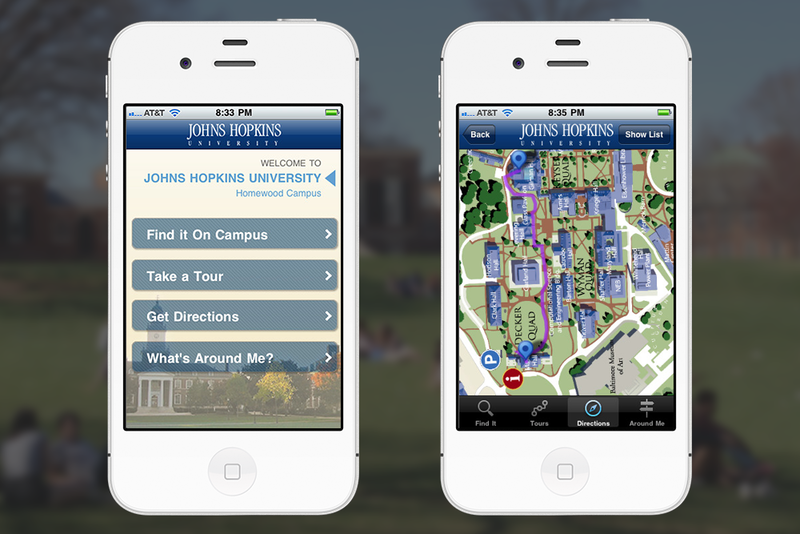 Ideally, Hopkins wanted a way to communicate with campus visitors by sending messages based on location. Additionally, JHU’s campus had become difficult to navigate for new students and visitors alike due to Google Map’s poor identification of their 40+ buildings. Using the consulting services of its partners, viaPlace delivered JHU a campus application mapped with local points of interest and built-in messaging. 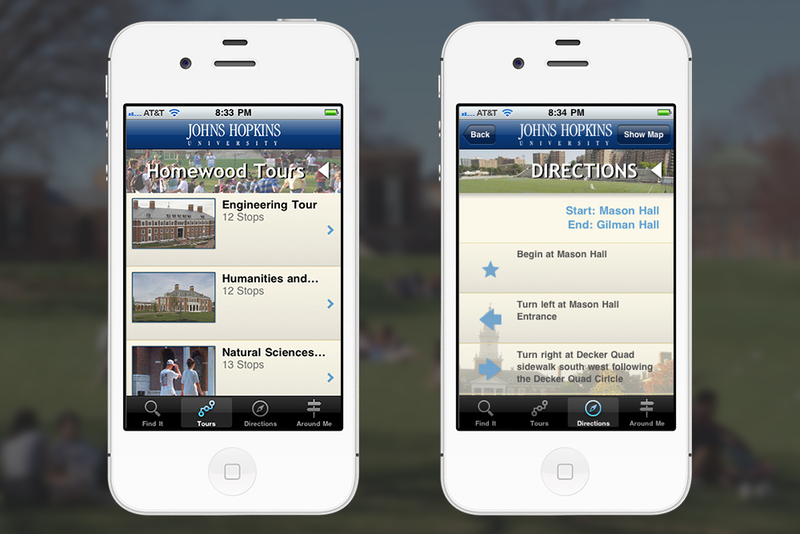 Visitors to the Hopkins campus can now take a pre-programmed tour. To further facilitate navigation, visitors can get turn-by-turn walking directions from point to point. The app includes additional functionality that pulls in data from JHU’s website and allows users to get more information about the university, such as class schedules.